In the end I did not end up doing a full test of all the parameters and settings of the camera, but instead focused (pardon the pun) on the auto focus capabilities under lower light conditions as well the high ISO performance which I could then compare to my 1D MkIV. 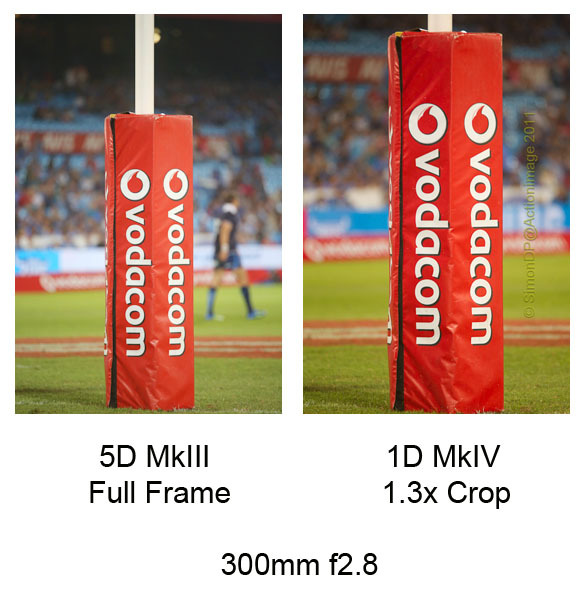 With the Vodacom Bulls vs Brumbies Super Rugby clash on my calendar, I realised it would be the ideal testing area for the 5D MkIII, being a night game under the floodlights at Loftus Versveld in Pretoria. Preparations started the day before the match, me checking out the menus of the camera and finding them following the now familiar layout of the newer generation Canon’s. No problems here, except for the Case studies settings in the AF menu which were new to me, where I chose the setting for subjects accelerating and decelerating erratically, closest to what I believe I would experience. Turned out as a good choice, when playing around later proved it to be. First of all the usual focus calibration test, and another eye-opener as I had to dial out back focussing with my Sigma EX 120-300/2.8 with a -15 setting on the AF Fine Calibration menu, but then its not the OEM lens for the body, right? Checked my OEM style 500 f4 L IS lens, and it to was back focussing, requiring a -5 setting to get it onto the spot. 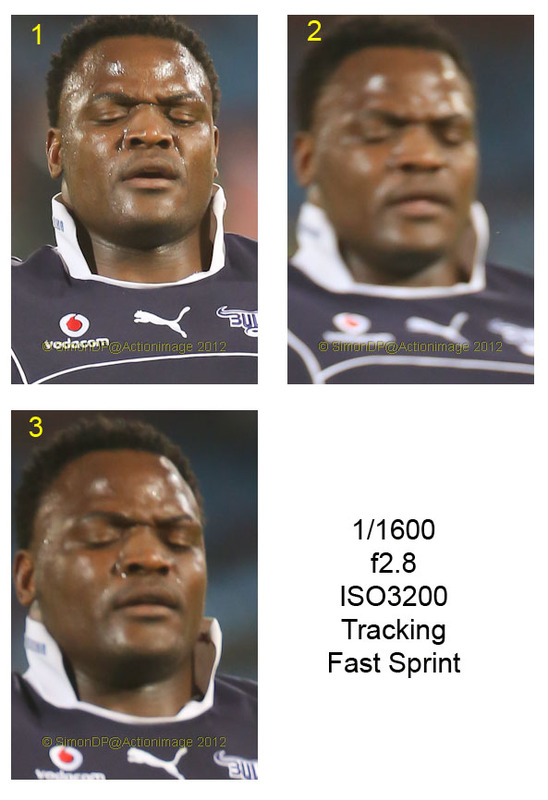 On the field I checked, as quick start, the drop in reach from the full frame sensor compared to the 1.3 crop factor of the 1D MkIV. It is noticeable if you are not used to it. See photo attached. Then it was time for the AF performance on tracking subjects, using my Sigma EX 120-300 f2.8 APO HSM lens, the primary lens used by me when shooting rugby. Using AI Servo mode, I panned the players running and jogging through my field of view, and here there was no problems, the camera easily keeping the players sharply focussed as the series on Chiliboy Ralepelle shows. (See photoset 1). 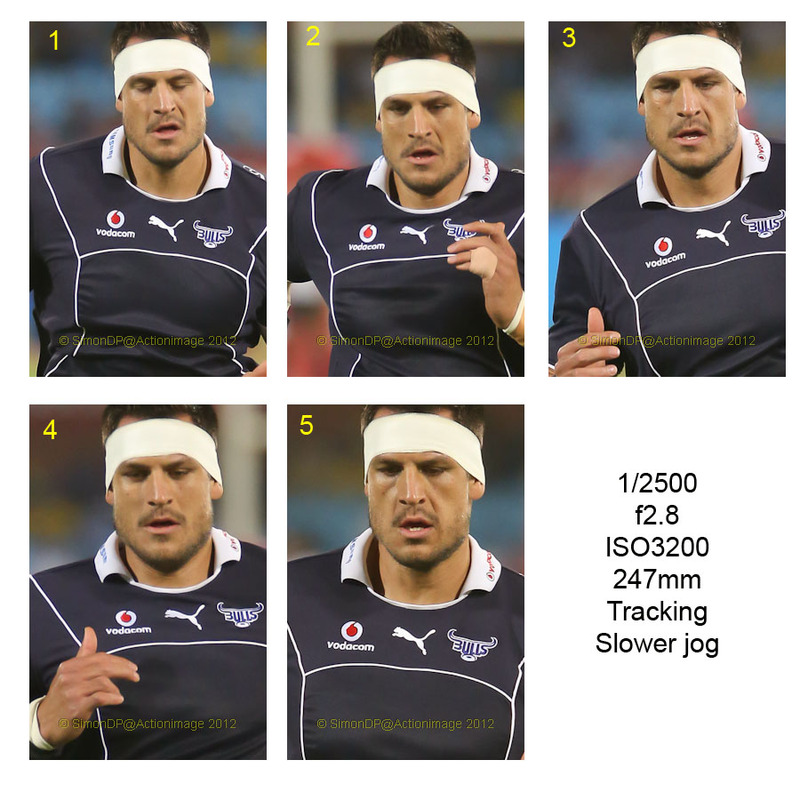 Then tracking head-on with more distant players, and under the lower lighting conditions the camera could just about keep up with the action, loosing about every third shot in a series due to softness using Pierre Spies as a model. See photoset 2. By comparison the 1D MkIV would lose 1 in 5 under similar conditions. This was at a distance of about 30m to 15, the players briskly sprinting towards the camera. Then when I tried it closer to the camera, between 12m to about 6m, the AF started to struggle, loosing half to 70% of the shots with the AF unable to keep up. 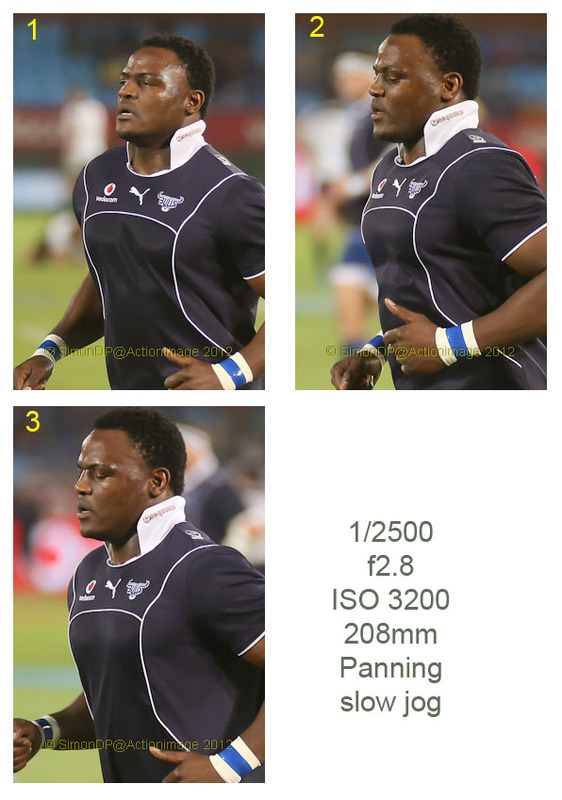 Again using Chiliboy Ralepelle as an extreme example, with a fast sprint close to the camera one can see the AF changing but not really catching up getting none of the shots in focus. But remember this was at close distance with a fast moving player head-on to the camera. Then again, the 1D MkIV would lose 1 in 4 due to softness, so this was a big difference for me. I then tried the other Focus Case Settings, and not getting better results (actually worse) decided my original setting was the best for given scenario. For the match I used my 500/4 L IS on the 5D MkIII, and here there was no focus issues, most of the shots at a distance of 30m-70m from the camera, the AI Servo tracking easily keeping the shots sharp, with a 98% keeper rate. Refer the series on Wynand Olivier. (Photoset 4) What I did find however was that the AF pick-up was noticeably slower on the 5D MkIII than the 1D MkIV, and also slower than my older 1D MkII, but once it has locked on, tracking is accurate as discussed on slightly more distant subjects. Not saying the AF slow, it still is fast, but slower than even an older 1D series to lock on. 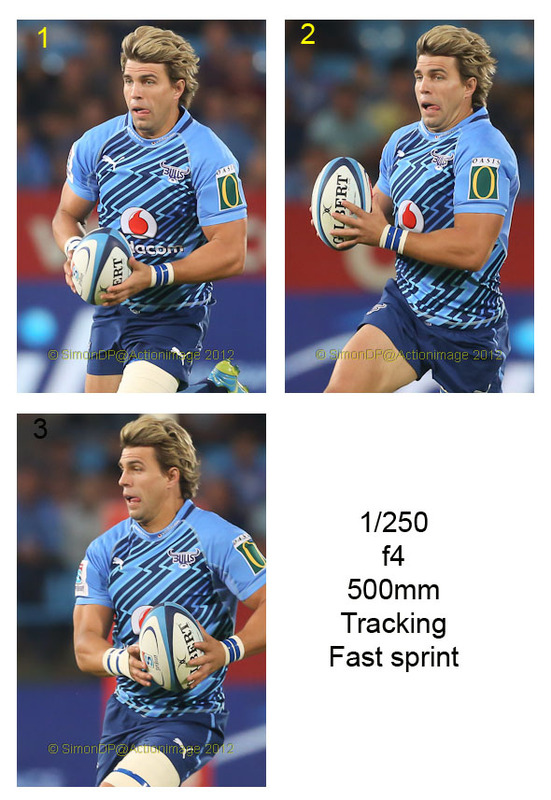 I specifically started off and used ISO 2000 as a reference to my 1D MkIV which is the setting of choice under the lights at Loftus, and the 5D MkIII easily came out tops by a considerable margin, so switched to ISO3200 which still ruled the world, way better than the ISO2000 on the MkIV which is quite good already with slight noise creeping in but easily controlled in Lightroom 3. AF tracking in high vector speed subjects (fast moving close to the camera) 50% or less depending on the speed and distance. Noise at ISO 3200: to my mind its better by at least two stops compared to the 1D MkIV, could be more but I haven’t really tested it to the extreme. One has to marvel at the low noise at higher ISO capabilities of the camera. The frame rate is certainly fast enough and quite usable, but one just feels more comfortable with the 10fps on the 1D MkIV, maybe I’m just spoiled. 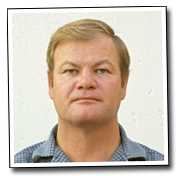 Ideal action based uses: should be very good for the Wildlife and Avian photographer, including animals running and birds in flight which are relatively slower moving and not close to the camera. I feel it would track a landing Egyptian Goose at Austen Robberts as good as my 1D MkIV, for example. But I would not take it rallying with my 24-105, where the action is fast and close-up. 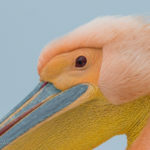 As a camera for me and my style of shooting, I wouldn’t loose my 1D MkIV over the 5D MkIII, I would however seriously consider it for the low noise in low light conditions I often find when shooting birds, with AF good enough under these circumstances, and it would be a better second body for me than a 7D for example, even with the limitations in reach. But for fast paced action sports, its still the 1D MkIV with a very capable back-up in the 1D MkII, which I also prefer over the 7D. Can I have a third back-up, there’s space for a 5D MkIII in my camera bag, but I would seriously consider fitting a vertical/battery grip for my bigger hands. All text and photos © SimonDP/Actionimage 2012. 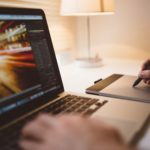 The post The 5DmkIII and Sports Photography appeared first on ODP Magazine.